I’m totally hooked on my vintage cookbooks, and am slowly working my way through my 1931 New Cake Secrets. Everything in it is so simple and comforting. It all gets eaten. The ingredients are things that are found in a standard pantry like mine. Also, it all kind of tastes like the MidWest – which is to say, it reminds me of the stuff my grandma used to make. Cream butter thoroughly, add sugar gradually, and cream together until light and fluffy. Add egg, raisins or currants, and chopped nuts. Add flour in small amounts, alternating with applesauce. Beat after each addition until smooth. Pour into greased loaf pan. Bake 1 hour at 350 degrees. I ended up baking the cake about ten extra minutes. It’s done when the top springs back to the touch. 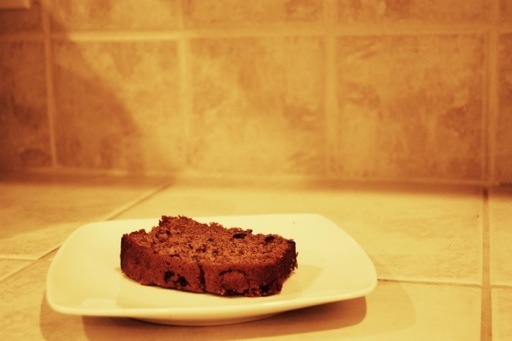 The cake is very sweet, with a wonderful apple pie flavor. It’s very moist. Served warm, it would be a great base for vanilla ice cream and maybe a drizzle of caramel. Chunky applesauce or shredded apples would be a nice addition. Recently, I made Busy Day Cake from Handwritten Recipes, and I was so taken with it, I decided to search out the original cookbook. The recipe’s name was easy enough to search out, but another important clue was in the ingredient list: Swan’s Down Cake Flour. After little bit of searching on eBay, I discovered that Swan’s Down Cake Flour, made by Ingleheart Brothers, Inc., had produced several recipe booklets that included the Busy Day Cake Recipe. I purchased a lot from a seller that included two different Ingleheart Cake Secrets booklets: One from 1925 and one from 1931. Busy Day Cake was in the 1931 version, New Cake Secrets. The booklets arrived and are completely adorable. Each recipe includes a note under the title about how many eggs it uses: Apparently in 1931, this was critical, sub-title-worthy information. 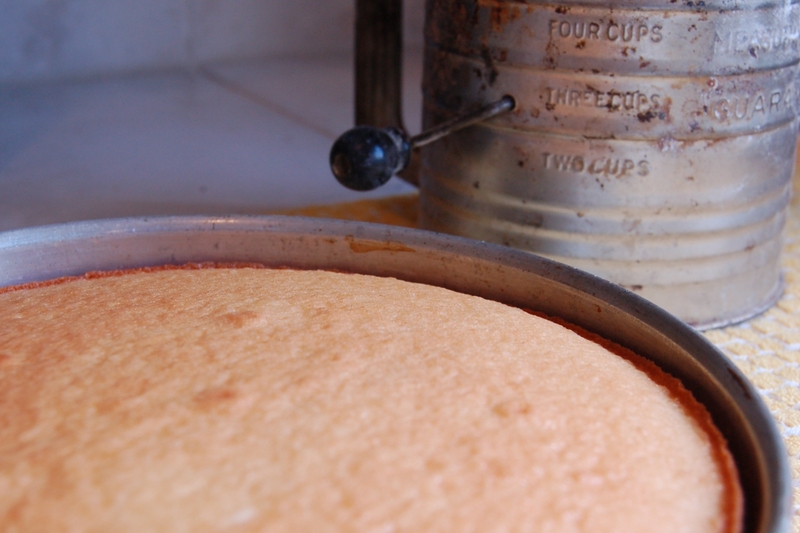 After some discussion with The Child, we decided we should make another cake, and we chose Favorite Two-Egg Cake. It was somebody’s favorite, so obviously, that was the place to start. 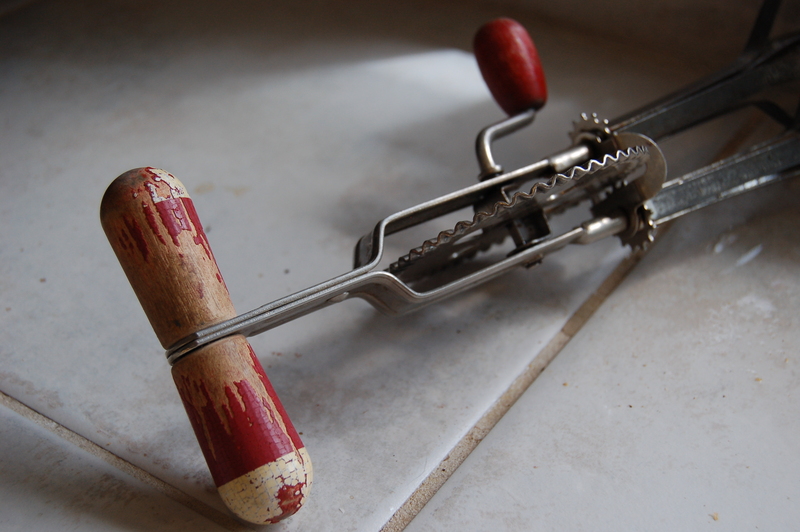 It didn’t seem quite right, though, because the other recipes are fancier – but I don’t have the energy for fancier. I want a cake to lift my spirits without requiring too much extra exertion on my part. Basically, what I want is funfetti. Funfetti makes me happy. It’s easy enough to make any cake a funfetti cake – just toss in some sprinkles, right? All I have is some leftover Christmas sprinkles, and although it’s not quite how I visualize things, I tossed them in. Christmas also makes me happy. 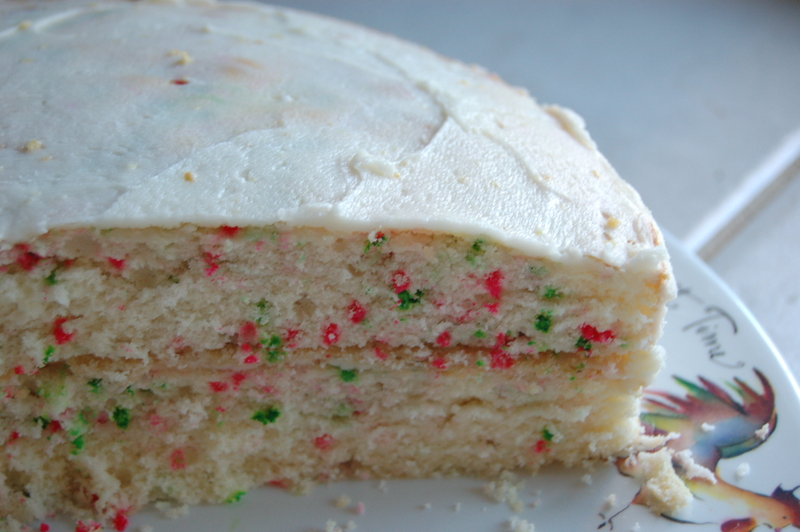 Christmas + Funfetti = The Happiest Cake On Earth. When the cake was baked, a funny thing happened: The red sprinkles because sort of pink-ish, and the emerald green lightened into a kelly green color. I started with dreams of Christmas Funfetti and ended up with a preppy polka-dot cake. It was awesome, and totally brightened my day. 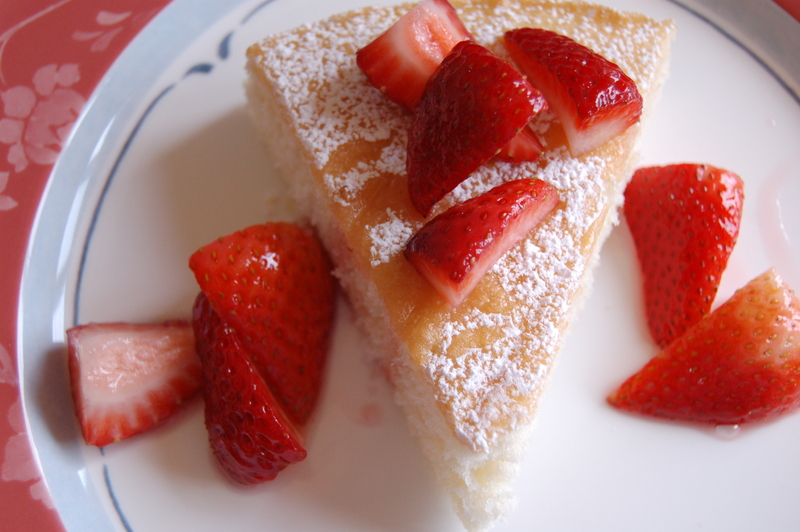 As cake recipes go, I preferred the Busy Day Cake for it’s spongy, almost angel-food texture. This cake was a bit simpler, oddly a bit more dry, and cried out for frosting. The child loved it, though, and it was easy to make. 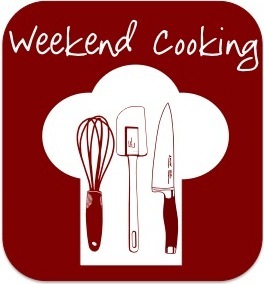 Sift flour, baking powder, and salt together three times. Cream butter thoroughly, add sugar gradually, and cream together until light and fluffy. Add eggs and mix well. Add flour alternately with milk, a small amount at a time. Beat after each addition until smooth. Add flavoring. 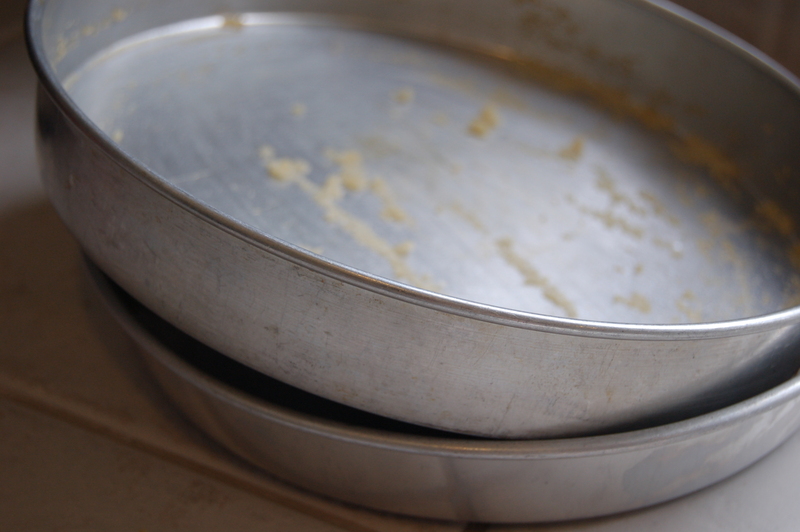 Bake in two greased 9-inch layer pans in moderate over (375°F), for 25 minutes. The recipe suggests using Orange Filling between the layers and White Mountain Cream frosting. We went with a simple lemon frosting, and I think in this case, a moist fruit filling would work really well, as the recipe suggests. The cake is a bit dry without it.